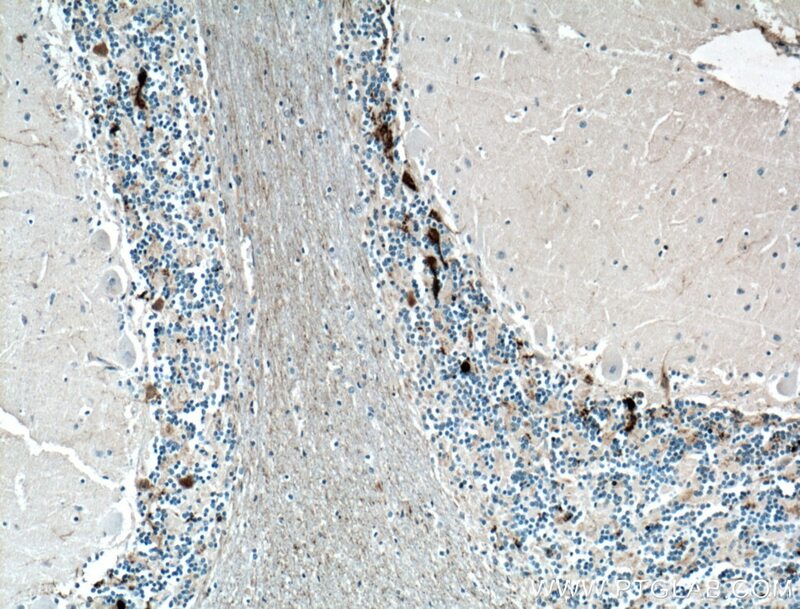 Immunohistochemical analysis of paraffin-embedded human brain tissue slide using 66496-1-Ig( Calretinin antibody) at dilution of 1:200 (under 10x lens) heat mediated antigen retrieved with Tris-EDTA buffer(pH9). 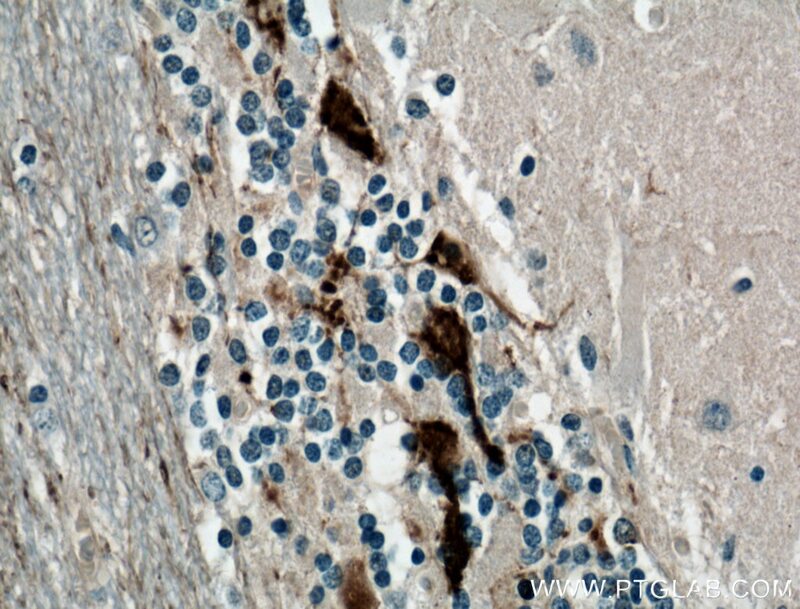 Immunohistochemical analysis of paraffin-embedded human brain tissue slide using 66496-1-Ig( Calretinin antibody) at dilution of 1:200 (under 40x lens) heat mediated antigen retrieved with Tris-EDTA buffer(pH9). Calbindin 2 (calretinin), is an intracellular calcium-binding protein belonging to the troponin C superfamily. Members of this protein family have six EF-hand domains which bind calcium. This protein plays a role in diverse cellular functions, including message targeting and intracellular calcium buffering. It also functions as a modulator of neuronal excitability, and is a diagnostic marker for some human diseases, including Hirschsprung disease and some cancers. Calretinin is a useful marker for differentiating malignant mesothelioma from carcinomas. 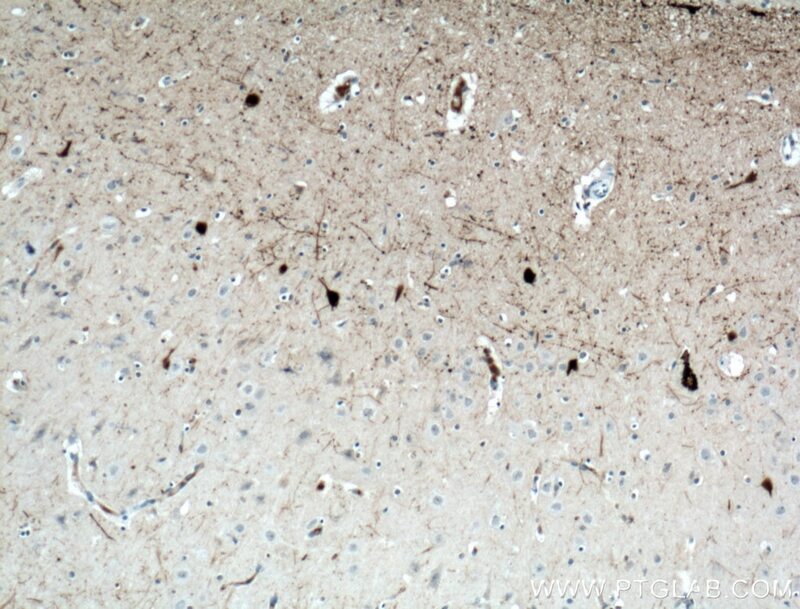 Immunohistochemical analysis of paraffin-embedded human cerebellum tissue slide using 66496-1-Ig( Calretinin antibody) at dilution of 1:200 (under 10x lens) heat mediated antigen retrieved with Tris-EDTA buffer(pH9). 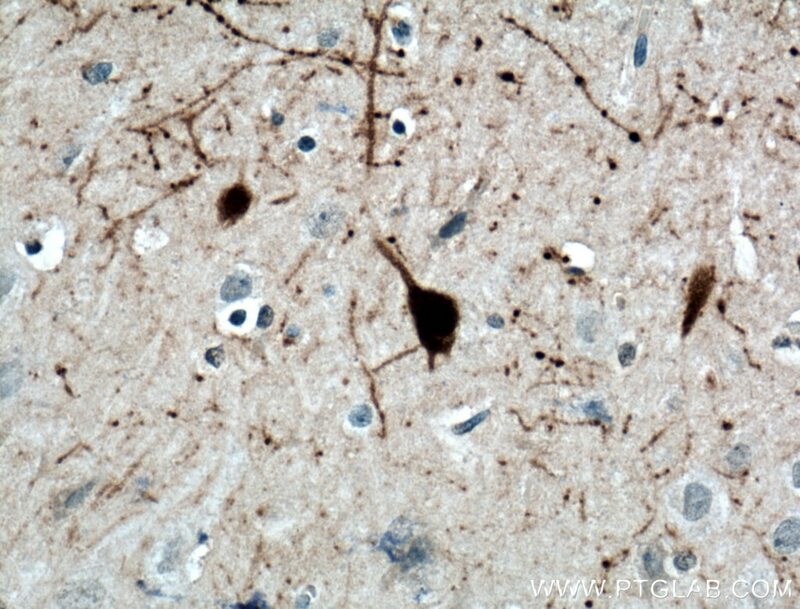 Immunohistochemical analysis of paraffin-embedded human cerebellum tissue slide using 66496-1-Ig( Calretinin antibody) at dilution of 1:200 (under 40x lens) heat mediated antigen retrieved with Tris-EDTA buffer(pH9).